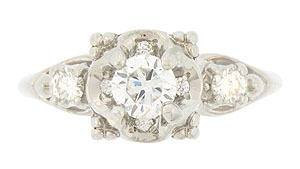 A brilliant .40 carat, F color, Si1 clarity round diamond rests in the center of this floral inspired engagement ring. 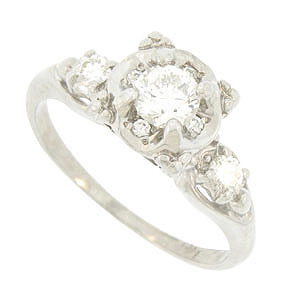 Four round faceted diamonds nestle in the central mount against the sparkling center stone. 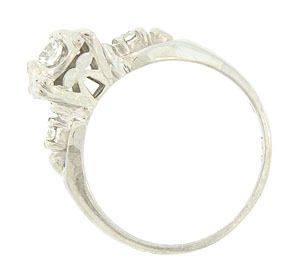 A pair of additional round cut diamonds are set into the rings shoulders. Trios of large milgrain further embellish the floral design. The exceptional wedding ring measures 8.24 mm in width. Size 7. We can re-size.